But popularity and success aren't necessarily the same thing. A small online store that sells crocheting supplies may not receive millions of visitors, but it may have a loyal customer base that not only makes purchases, but visits it on a daily basis for tips, news, and project ideas. Since it encourages so much engagement, a site like this could be considered a greater success than a much larger site with no repeat visitors. On the other hand, a site that has millions of visitors that do stick around is more successful than either. So, if you want to build a website, how do you make it a success? How do you attract the types of visitors you want, and get them to convert in the ways you want? It's a complicated procedure and the exact steps you'll need to take will vary depending on your subject matter and your audience. However, it's possible to sum up the process with five general "mega-steps" that will apply to any website. No matter what type of website you're creating, there are some baseline rules to follow that will start your website out on the right track. It's vitally important to understand what exactly you want to accomplish with your website. 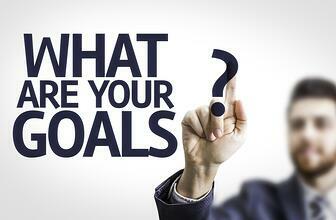 Is your goal to sell products? Get visitors to sign up to your newsletter? Convert visitors into long-term clients of your company? Or maybe your goal is all of these. That's fine, you just need to have this goal in mind from the beginning so you can structure your website accordingly. 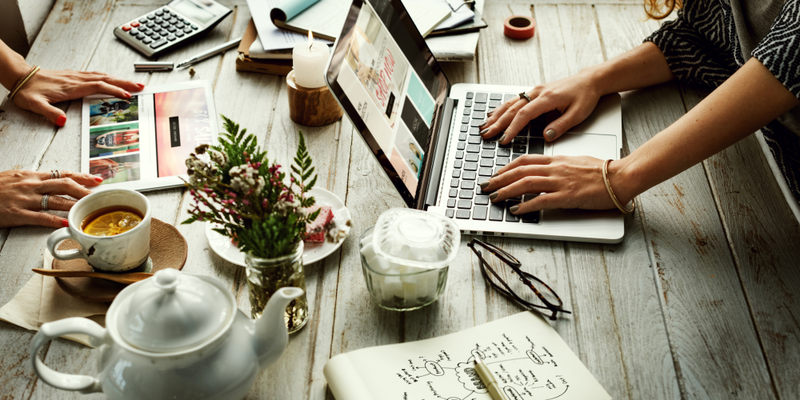 If you create your website without knowing what you want its primary purpose to be, it will likely end up disorganized and confusing to your visitors. You won't achieve nearly the results that would be possible with a well-structured, goal-oriented website. Besides, you can't judge your website's success — or identify areas for improvement — without knowing how that success is defined. Planning is everything, especially when you're building something that's going to be visible to a potentially vast audience — and we can't think of anything that fits that criteria better than a website. Write down a list of pages you think your website will need and what will be on them. During this process, you may discover some pages that can be combined or others that need to be split apart. To determine which pages you're actually going to need. Once you've made your list, if you need help visualizing your website's structure, draw a representation of how the pages will be linked to one another. Then, follow the "paths" hypothetical visitors would need to take to view any particular page, keeping in mind the number of clicks they'll need to make to navigate to the page in question. Ideally, it will take three or fewer clicks for a visitor to find what they're looking for on your website. If you never reach a situation in which a visitor would access a certain page, re-evaluate whether you need that page at all. Depending on what it is, it might be better merged with another page or just removed entirely. 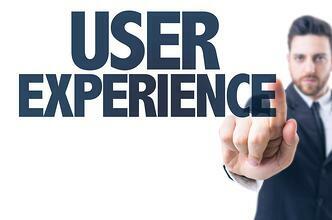 User experience (UX) defines everything about how your website feels to a visitor. Does it load quickly, look great on mobile devices, and present information clearly? Or is it bogged down by slow load times, confusing navigation, visual clutter, or other issues? UX will make all the difference when it comes to how long customers will remain on your site and how easily you can get them to convert. When a person visits a website, they want to find what they're looking for as quickly as possible. Load times and your site's navigation will both affect this. A fast-loading website with sensibly-organized pages and links both work to provide a far superior user experience. If you have an online store, your website shopping cart, product pages, and checkout process must also work quickly and work well. People on the internet have very high standards — any small inconvenience, and they're likely to bounce from your page and find another, even if you have a better product. Build a website that they'll enjoy visiting. All websites need content. Sure, you can get away with average writing, just as long as it's not stuffed with keywords in a misguided (and outdated) attempt to game the search engines. But to really shine, your website's content should add value to your pages, not just search terms. Value — as in, value to the reader — plays a huge part in your website's popularity and search ranking potential. And anything else that can serve to teach your visitors and therefore all add value. Writing a blog post? 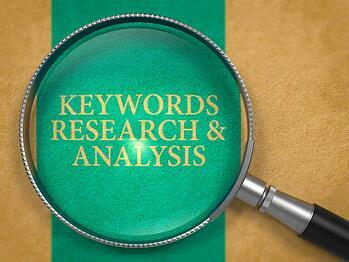 Research topics your visitors are likely to want to know more about, and explain it for them. Writing a page that displays products in a certain category? Write an informative introduction to the category and include some details that may help customers decide which product to choose. Writing your website's all-important homepage? Explain your industry rather than assuming all visitors will already understand what you do — you may find that some of your visitors realize you can solve a problem for them that they didn't know they had. Search engine optimization (SEO) requires a set of skills that run from the technical to the almost artistic. On the technical side, you have things like link structure, 301 redirects, meta tags, and XML sitemaps. On the artistic side, you have valuable content, which we just covered. Valuable content directly helps your SEO by presenting visitors with authoritative information they'll want to share with others, resulting in them linking to your site, which signals Google that a page is popular and should be higher in search results. Of course, there are many more technical tasks you'll need to do to ensure your website doesn't get lost several pages behind in searches. The good news is that you don't always need a deep technical understanding of SEO to set it up properly. It comes down to your ability to follow instructions: your URLs, page titles, and meta tags need to follow a certain standard, for example. Of course, actually making these changes can be difficult without technical knowledge, but that's where your site builder software can really help you. Website builders often give you easy ways to change titles and tags, as well as handle some of the other more difficult work for you. But not all are equal when it comes to built-in SEO tools — one of the most SEO-friendly ecommerce platforms, with the most built-in features, is 3dcart. 3dcart is a full-featured website builder that includes everything you need to create a comprehensive site for your business, including a built-in shopping cart for selling online. It's the easiest solution by far for businesses of any size who want to build a website that follows the criteria outlined in this blog. Of course, these five steps are summaries of longer processes that are just too much for a single blog post. Our free ebook on How to Create a Website expands significantly on these steps, and goes in-depth with instructions on how to plan, build, and launch your website from beginning to end. You can download it below.